After months (and months and months) of rumors, including one rumor that it was partnering with Ford, Google’s self-driving car is going into manufacturing mode, with a new prototype based on the Chrysler Pacifica minivan. But hold the grocery-getter jokes, please. An autonomous minivan is exactly what Google should be making. This collaboration with Fiat Chrysler Automobiles (FCA) is the first time we’ve worked directly with an automaker to create our vehicles. FCA will design the minivans so it’s easy for us to install our self-driving systems, including the computers that hold our self-driving software, and the sensors that enable our software to see what’s on the road around the vehicle. 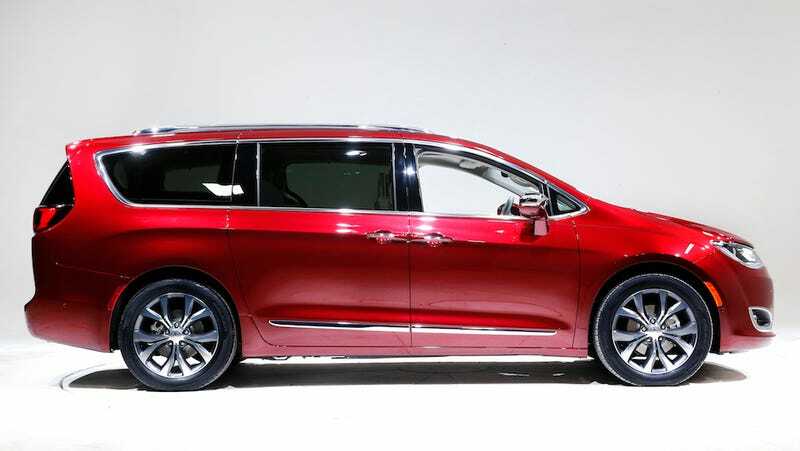 The minivan design also gives us an opportunity to test a larger vehicle that could be easier for passengers to enter and exit, particularly with features like hands-free sliding doors. Chrysler will make 100 autonomous 2017 Pacifica hybrid minivans, which will start rolling onto the roads by the end of 2016. In addition to scooting around Mountain View, the vans will make their way to Google’s other test cities like Austin, Phoenix, and Kirkland, Washington. The Pacificas will join the rest of the vehicles in Google’s self-driving fleet which includes modified Lexus hybrids and other customized vehicles that Google built itself. This decision to go with this kind of vehicle emphasizes the goal that’s always been behind Google’s self-driving car project: It will allow unprecedented independence for people who are blind, deaf, and disabled. A minivan can be easily adapted for wheelchairs and other assistive devices that will help people to get in and out of the vehicle easily. But there’s also another important benefit to a minivan: More seats means that these autonomous vehicles can be easily shared, allowing them to function more like public transportation. There’s a reason that Elon Musk hinted about developing some kind of autonomous bus. Self-driving shared vehicles are the future. Google’s partnership with Fiat Chrysler is the latest self-driving collaboration between tech companies and American automakers, with GM and Lyft pairing up at CES. And last month, a new self-driving consortium formed that currently includes Ford, Volvo, Google, Lyft and Uber, to help push forward regulation to help get these cars on the road.